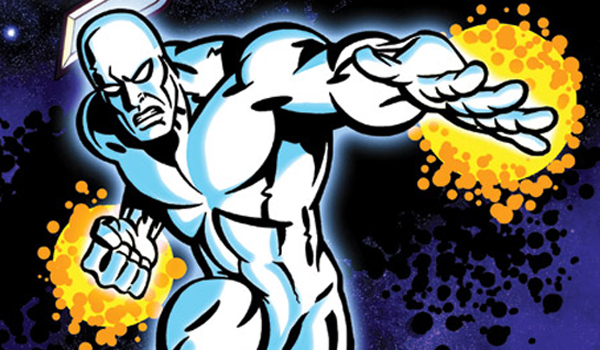 The Silver Surfer is an all-powerful superhero who wanders the cosmos, pondering the biggest philosophical questions imaginable and finding no reason to forgive himself for the atrocities he committed while he was employed by the world-eating deity called Galactus. He's one of the weirdest heroes in all of Marvel Comics, so it's pretty weird that he had his own Saturday morning cartoon show, which faithfully adapts the melancholy mythologizing of his comic book series! But they did, and "Silver Surfer" may very well have been CANCELED TOO SOON! Our MARVELOUS MONTH OF MARVELS, dedicated to failed TV shows based on Marvel superheroes, concludes with this impossibly epic animated series, which painstakingly recreates the iconic art style of Jack Kirby! Witney, please don't follow through on your proposed viewing approach to Game of Thrones. It's quality entertainment and should be consumed (or ignored) in the order intended. If you seriously want to try that experiment, I think you could get interesting results using The Vampire Diaries. The plots on that show zigged and zagged so often that guessing the prior story based on any given episode would be a real challenge. William Bibbiani Picks The Best Movies of 2018!